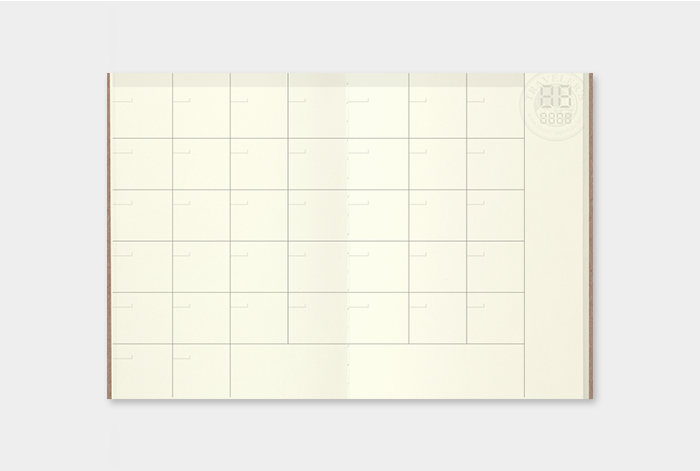 This is a passport size monthly planner. 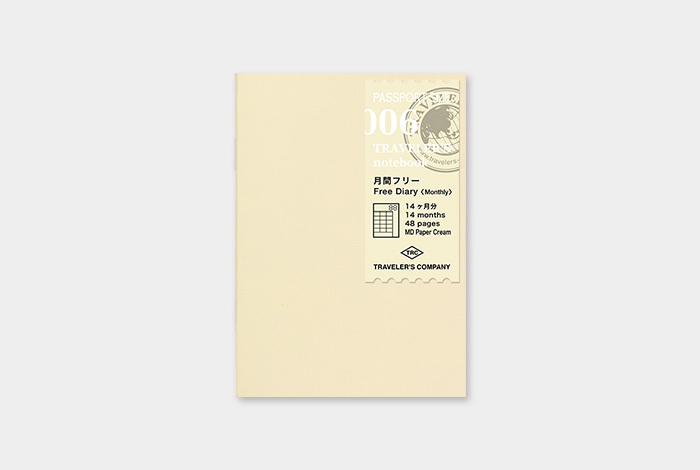 The size of this refill is exactly the same as the passport we carry, so it’s suitable for using this as a sub-planner. Also, the size makes it nice to record anniversaries and birthdays of the people you like. The dates are not printed on this refill, so you can start it whenever you want. 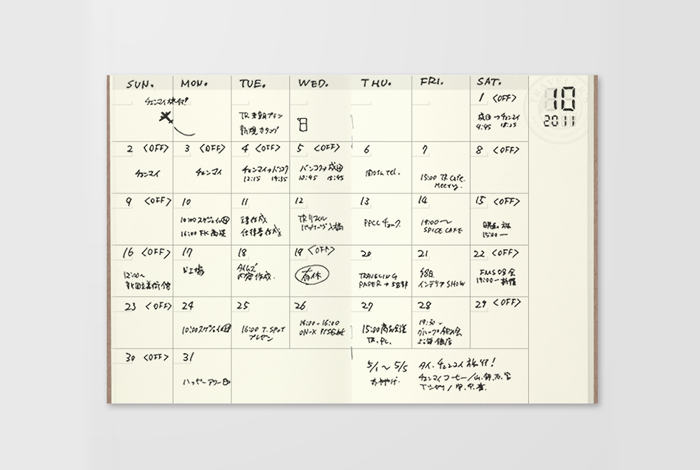 Please customize this the way you want, and don’t forget, this planner uses the MD paper so the feeling you get from writing is simply awesome.